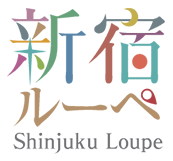 Shinjuku Loupe. Shinjuku City Federation of Stores Association Official site. This site is the home page of Shinjuku City Federation of Stores Association of Tokyo, Shinjuku-ku, within 89 shopping Society, about 4200 shops belong. I have been calling the deals and events of the Member Board shop.